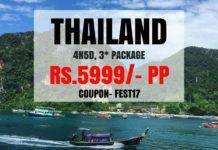 Amidst the clear skies and the modern sleek building lining the skyline of Thailand, where people find solace under the soothing touch of sunrays in the beach, there are various things to do in Thailand which are sure to make you feel goosebumps and the surge in the flow of blood. 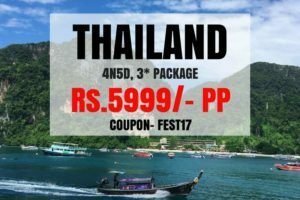 All things not to miss during Thailand trip are listed below which won’t cease to leave you confound beyond your expectations making it one of the best weekend getaways for slogging souls in dire need of refreshment. Bungy jump and human sling shot in Pattaya near Bangkok is the highest in Thailand and has been in operation since 1989 with best European and Thai flymasters. You’ll feel the euphoric rush rise as you bungy jump off a 60 meter high platform over a lake soaring in the air like the eagle. The human sling shot launches you from over 90 meters which will make you catch up an over thrilling speed of 150kph in not more than a second. This is the only licenced bungy jump with international safety measures. Best about the activity: this nerve wrecking activity allows you to jump from the height of 60 meters; the highest jumper gets a certificate of courage. Insider tip: know your limits, both bungy jumping and human sling shot are dangerous, ensure safety measures. 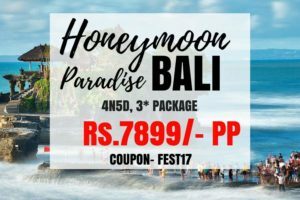 Almost 12 hours from Bangkok is the beautiful blue parrot beach resort in Koh Phangan, an experience of full moon dance not worth missing. Amongst the azure of the water and the crimson of the dusk, when the moon rises up and embraces the music to start the party; people can stop but enjoy the drinks and dance to the beats. EDMs and trance music are also flung to add more life; the DJs are the most experienced people who know exactly how to run the party hard. This Koh Phangan’s full moon party is famous all around the world for the brightest moon and loudest music. 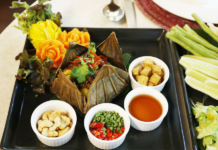 Best about the activity: although partying in the full moon is indescribable, restaurants provide full meals, 4 nights suggested for full moon party. Insider tip: stay for more than 2 nights, the fun increases each day. This extreme water sport is bound to make your knees go week fleeing flutters in your stomach. As you flyboard on the water, the feeling of rising above the cascading water and flying like a free bird has no description except that you’ll feel more powerful than the Ironman. The best Flyboarding is in Bang Lamung District in the Chonburi province, Flyboarding classes are given by the instructors and all safety measures are checked especially for the beginners for this lifetime experience of gravity defying elation 4 meters above the water. Duration: 20 minutes for approx 2-4 meters above the water, with few minutes of training with an experienced trainer. Best about the activity: trainer takes on a beginner’s ride; private beach with the view of sea animals. Insider tip: though all the gears are modern and updated, but be always ensure to have all safety measures strapped in. On the 61st floor of the Banyan tree hotel towers the Vertigo and Moon Bar is one of the finest and thrilling weekend getaways to rejuvenate your souls and have cherishing fun. Vertigo has been the most favorite of the rooftop bars since a long time, it’s unusual narrow and elongated shapes occupies both the bar and the restaurant putting up a façade of a spaceship sailing by. Associated with luxury and high spiriting classic drinks its panoramic vista of Bangkok’s scintillating skyline will leave you agape with the sun setting and painting a yellow ribbon on the river and the rising moon immaculately iridescent on the skyscrapers to lure people out. Price: No entry fee, 500+ baht for wines and drinks. Best about the Activity: Luxurious place and of course the Panoramic vista of the receding skyline through the mind-blowing drinks, restaurant for dinner. Insider tip: if you’re not good at partying and dancing, try learning some moves it’ll go well with the drinks. As you glide across the breathtaking view of the verdant green tropical jungles near Bangkok through the zip lines, there’ll be no moment when you’ll stop gaping at the intricate beauty of the nature. The Zip lines pass through 26 platforms through the Khao Kheow Open Zoo through the dense forest canopy covering the area of approximately 3kms ensuring exhilarating adrenaline rush. Add-on activities are also provided which include a route of treetop obstacles and forest activities like Tarzan jumps, hanging bridges, flying swings and a lot more. To experience the amazing flora and fauna the tour also includes a visit to the Khao Kheow Open Safari Park. Location: 90mins drive from Pattaya to Chonburi province’s Khao Kheow Open Zoo. 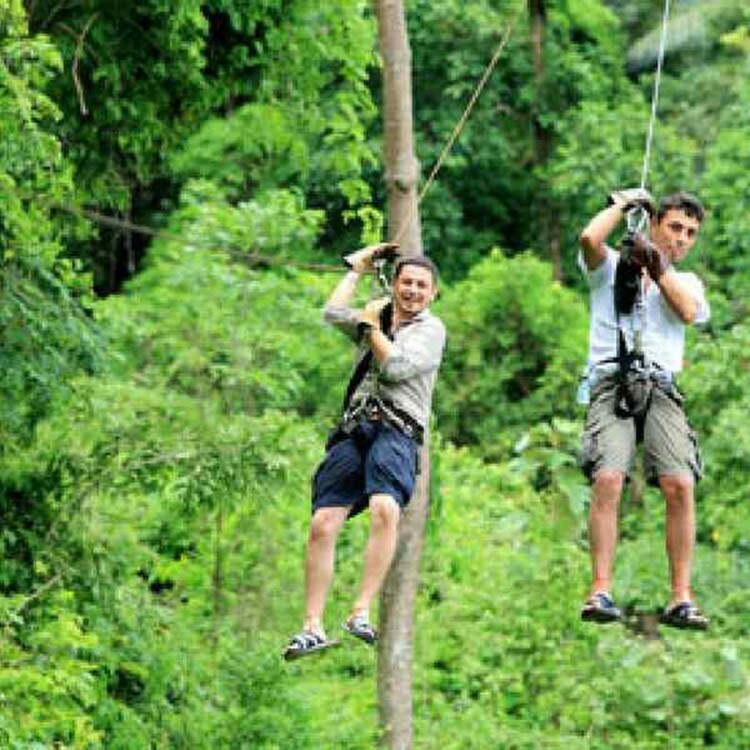 Price: 3000 baht per person for Zip lining tour, a little extra to add the forest obstacle course. Best about the activity: includes a thrilling add-on into the dense forest for treetop obstacles. Insider tip: know your limits especially if you decide for an add-on, always ensure that you’re tightly strapped in. Both fresh water and deep sea fishing are available; there are different kinds of fishes, variant species of different sizes and colors. Throughout Thailand, there are many shops which sell fishing and angling gears. Both a rookie and a veteran will anticipate in the idea of fishing in Thailand around Bangkok or in Pattaya. Alligator gar, Striped Catfish, Arapaima, Mekong Giant catfish, Rohu, Tilapia, Spotted featherback and Barramundi are some types which can be spotted along with their species. 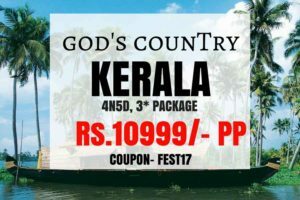 Many techniques are taught to catch the fishes, spearing, trapping, and hand catching are some, they’re all located near parks where you can either cook or get cooked your catch and enjoy a relishing fishy meal. Location: deep sea fishing- Bang Saray a fishing village. 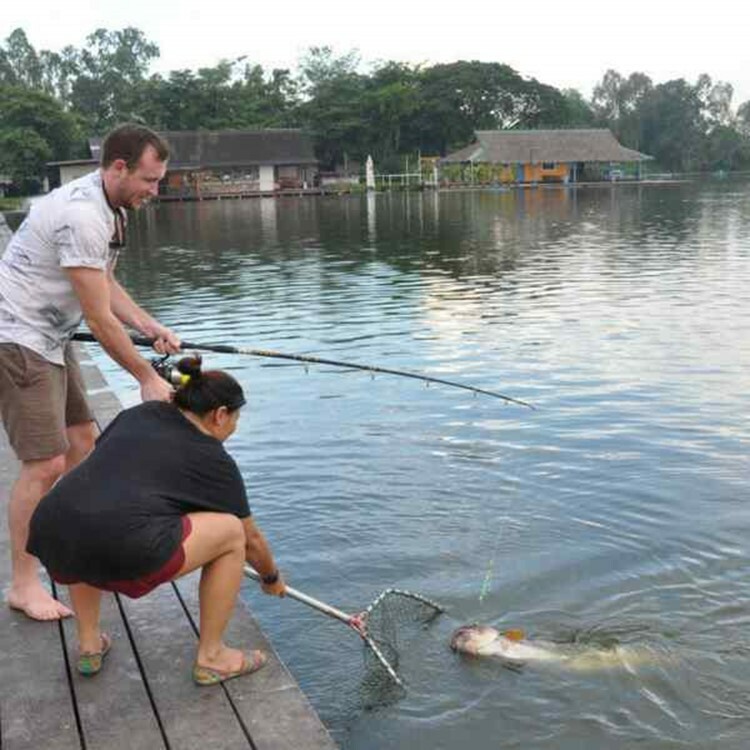 Fishing Parks- Pattaya Fishing Park, Giant fishing park, Amazon fishing park. Price: 4500 baht includes transportation, fishing equipments, meal and guide. Best about the activity: some exotic and endangered species are also found due to water currents. Insider tips: while fishing, keep the line taut by using recurved point also known as triple grip. 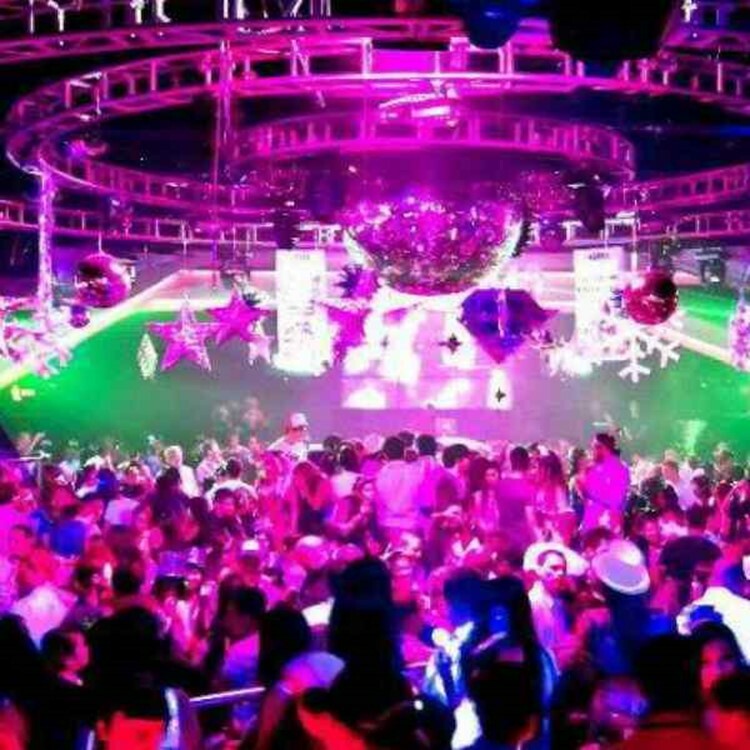 This is an international class clubbing hub, from bass-heavy big room EDM to bass-heavy House, hip hop and open format; it rocks it all with impressive lights and laser systems. Thai and international DJs play from a grand DJ station, a reminiscent of the hard party European clubs. V8 diner has moved in front of the club, it’s a well known pre-party place with good discounts for beers. 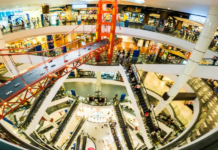 Best about the activity: on the famous T-junction of Bangkok’s renowned party street. Nearby are Nana BTS station, Soi Cowboy and Nana plaza. Insider tips: if you’re not good at partying and dancing, try learning some moves it’ll go well with the drinks. 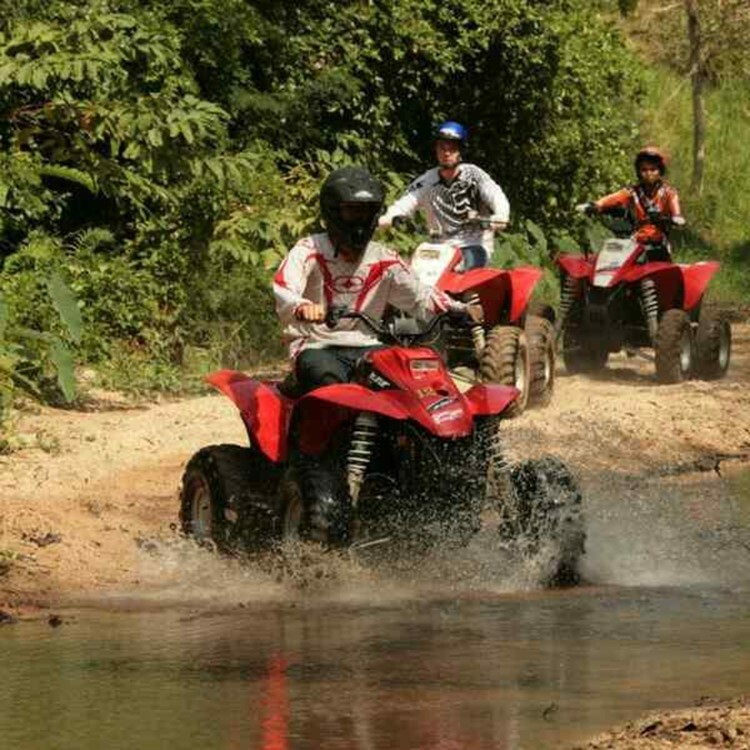 This is a mind blowing adventure activity, it has trails, off tracks and tracks in diverse terrains leading you uphill with hairpin turns and high drops across the coconut, rubber and eucalyptus plantations; you’ll also come across marshlands, the Thai tropical rainforest, streams and rocky terrains. 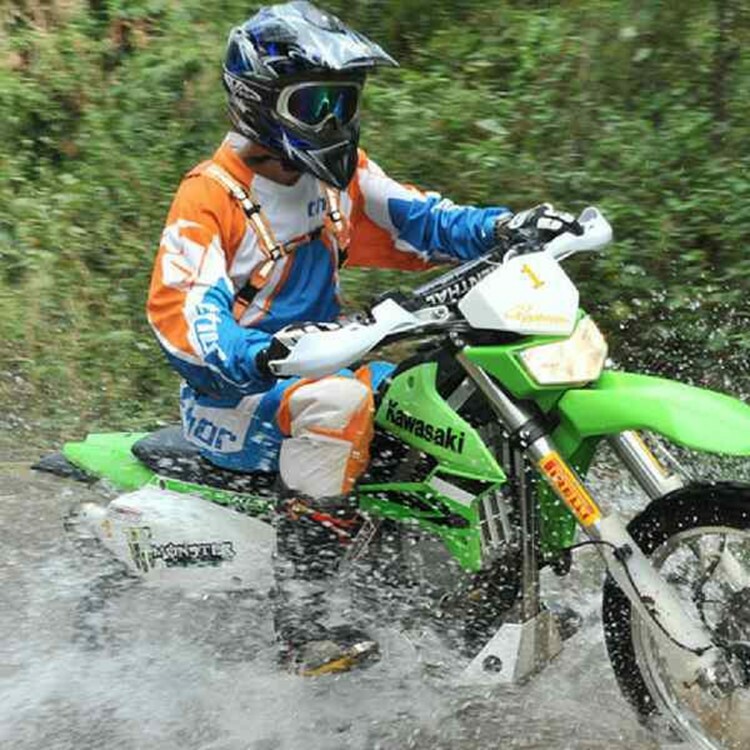 Insider tips: ensure safety as you ride through the tropical forest and by the streams. There are morning and evening time slots for this, adventure takes on a guided tour off the road away from the beaches, malls and clubs to feel the soothe of the vast green stretches of farmlands, jungles and rivulets on a memorable ride. The bikes are adventurous fun for both the beginners and the experienced- Polaris 330cc Trailboss ATV Quad bikes, Polaris 450cc Sportsman ATV, Kawasaki Dirt bikes and 360cc Fun Buggy. The Kawasaki Dirt bikes are only available for the trained bikers while the rest can be driven by anyone. Best about the activity: for the Kawasaki dirt bikers the trails have turns and drops just as if ATV riding in the greater Himalayas. Insider tips: ensure safety, Polaris 330cc Trailboss ATV Quad bikes, Polaris 450cc Sportsman ATV are the best in the class. This riveting experience lets you run against the mighty ocean currents and tides on a high speed watercraft, it lets the waves life up in the air and fly across above the ocean. This water sport is enjoyed by people of all ages and kids too. 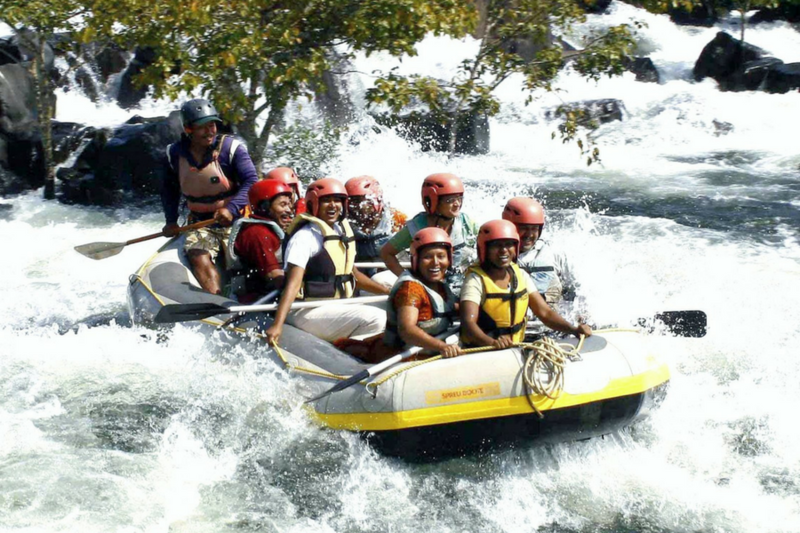 An experienced guide helps in giving some basic instructions to run as the water laps and cascades by. Best about the activity: running at high speed is always enthralling to experience. Insider tip: don’t even think of reattaching you safety lanyard. This is the best cocktail bar in Bangkok, an artfully decorated dark and broody venue at the Novotel Bangkok Fenix Silom. It gives the early 1930’s Shanghai ambiance with craftily designed hanging paper umbrellas, alluring traditional Chinese model statues and terracotta styled warrior statues which oscillate suspended from the ceiling. Private booths are made up inside what used to be the old bank vaults with giant metal doors and brick works of the East India Company. The music is not loud to create a talkative environment; the cocktails are best and classic. There’s a piano at a side to invigorate by music nights. Best about the activity: the vaults from the 1930s provide an eerie, secretive and strange enchanting place; the cocktails are the most classic in the region. At 22:00 the ambience changes to raucous Jazz music. This gives an ultimate experience to sear through the ripples of the waves of the mighty ocean gliding speedily through the waves at thirty to Forty kms/hour. While you ride a wakeboard, you’ll be pulled by a high speed motor boat towards itself through waves coming back and forth. A trainer will help in giving the basic guidelines to experience this thrilling water sport adventure; this’ll make you walk out from just tanning to gliding the water. Price: 300 baht, 500 for whole day. Best about the activity: the speed at which the motor pulls instills immense thrill and pleasure. Insider tip: brace the pace and keep balanced, ensure safety always. 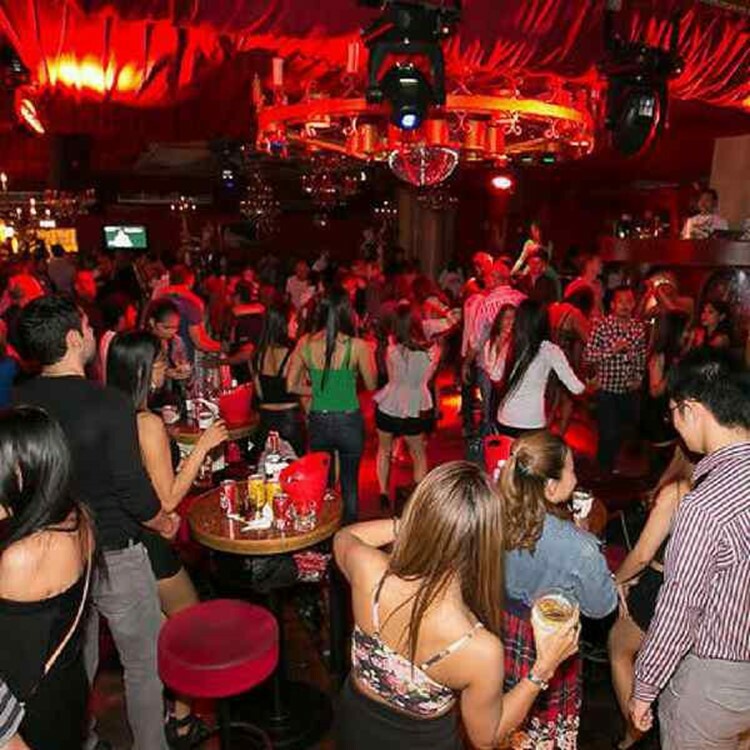 It’s the favorite place to hit for an after-hour party to dance until sunrise, its first room is devoted to party pop and hip-hop, while the second cave-like back room is dedicated to more beat-heavy trance and R ‘n’ B music. The party here takes a full swing at 1:00 and ends up after 6:00, its stark corridor serves up to emphasize the opulence of the interior of a giant red boudoir decked out in drapes, gold statuettes and glimmering chandeliers. 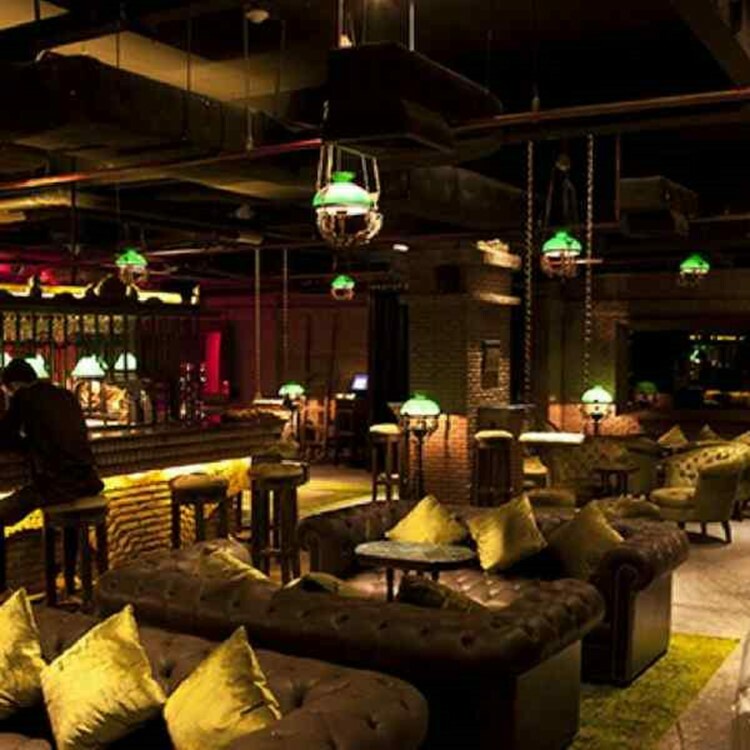 It has huge space to dance, with small tables scattered around for drinks, exotic beauties dancing to the beats. The second room has excellent laser and sound system, smoking is only allowed at the back of the room, the DJs here are usually international with Ibiza like experiences who know how to keep the room thumping. Best about the activity: the second room invokes more party pleasure with non-stop riveting music. Insider tip: for all those who have splitting headaches due to loud noise, try stuffing cotton in your ears. Hope you have a perfect weekend getaway in Thailand.